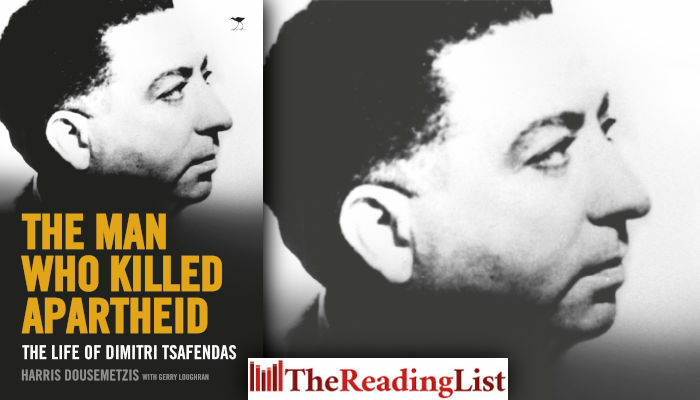 Percy Zvomuya has reviewed The Man Who Killed Apartheid: The Life of Dimitri Tsafendas for New Frame. In the book, Harris Dousemetzis reveals the extent of the cover-up by South African authorities and the desperate lengths they went to conceal the existence of Tsafendas’s opposition to apartheid. The Man Who Killed Apartheid exposes one of the great lies in South African history, that Verwoerd was murdered by a mad man. It also offers for the first time a complete biography of this extraordinary man. If Tsafendas’ act was, in his own words, ‘an act of profound moral principle’, why is the stabbing not remembered as such? Why is it that the ANC government hasn’t done much to rehabilitate the memory of a man whose act black people celebrated at the time by referring to Tsafendas by the new, revolutionary sobriquet of Dimitri Defendus? If the nationalist government had all this intelligence on Tsafendas’ past political activism, why did it allow the narrative of the tapeworm to take centre stage? And how was a man on the government’s list of prohibited immigrants not only allowed to enter South Africa but also to work in Parliament? The Man who Killed Apartheid – a crisply written, 500-page work of painstaking scholarship at whose heart is a Dickensian energy – answers these questions. Dousemetzis and Loughran have done well to torpedo Tsafendas’ injunction to ‘do a good thing and throw it into the sea’. But of all the things to be retrieved from the bottom of the sea, the Tsafendas portrayed in The Man Who Killed Apartheid is an absolute treasure.